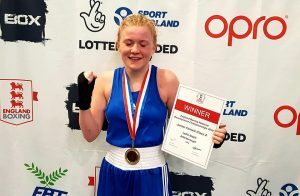 After winning her first National competition only just over 6 months ago Lydia ‘Socks’ Nagle would be representing TeamABC and competing for the National Development Champion title being held in Oxford on Saturday afternoon. The only thing between her and what would be a fantastic achievement was a very good boxer from Northumberland. 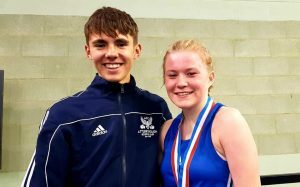 Both girls came out on the attack with Lydia showing good defence work whilst under attack and catching her opponent with some good scoring shots in the early 1st round exchanges. 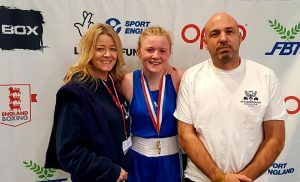 As both boxers started to relax and settle down Lydia boxed and moved well edging the contest but her opponent showed her quality coming back for a strong finish to the round. 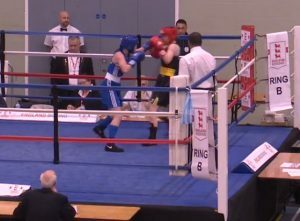 After words from the head coach in the corner, the Rosedale Funeral Home sponsored ABC boxer came out strongly in round 2 and dominated the early part of the round but once again her opponent showed her worth and quality by coming back with some good boxing herself, however it was Socks who won the round. 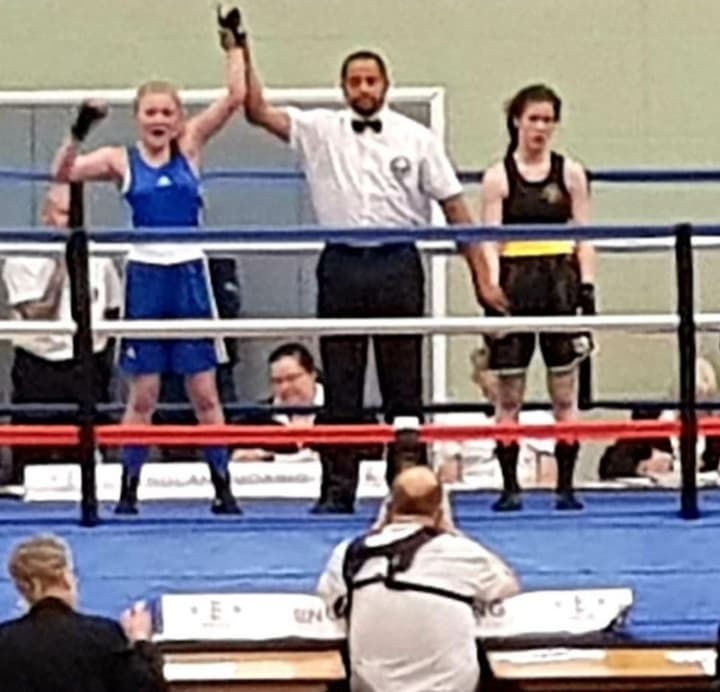 Going into the last round both could sense victory and exchanged blows but Lydia once again showed better hand defence work and good upper body movement and claimed more scoring blows to edge another hard round of boxing. 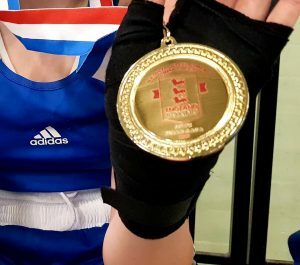 The judges agreed unanimously that our girl had won the bout and a euphoric Lydia had added another national title to her boxing cv! Well Done Lydia on such a great result and achievement.